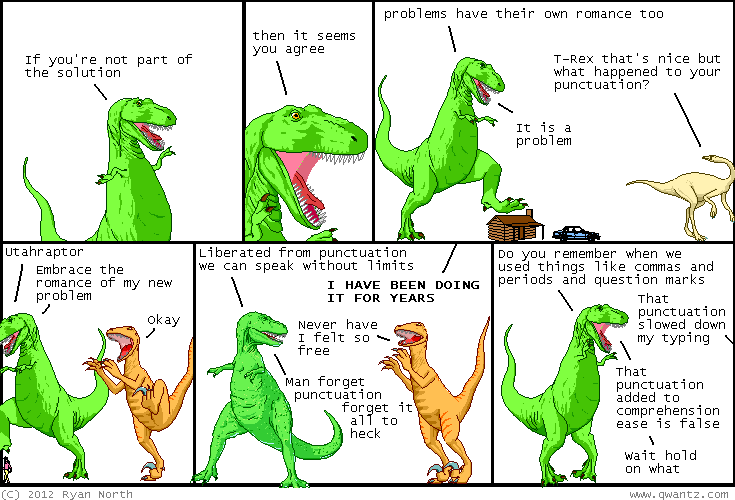 Dinosaur Comics - January 10th, 2012 - awesome fun times! 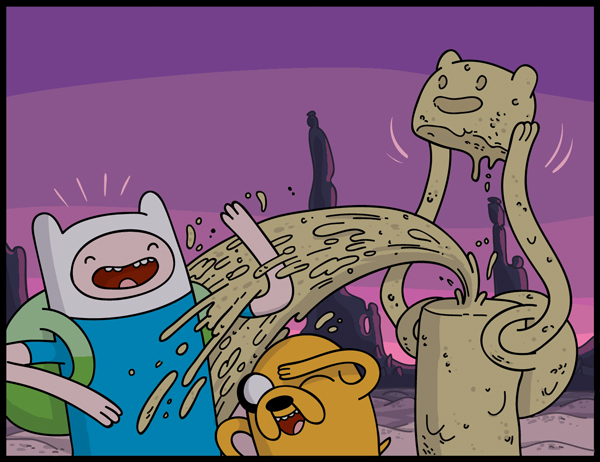 January 10th, 2012: There's going to be Adventure Time comics coming out next month, and I'm writing them! And here is a SNEAK PEEK panel I wrote, completely devoid of any context! Hopefully you are... intrigued?? That there drawing was done by Braden Lamb and Shelli Paroline, who are taking my words and making them better than they are! One year ago today: The most confusing part of this, Utahraptor, is why our culture is so big into horses. We're way too big to even get on them. It's definitely a head scratcher for sure.